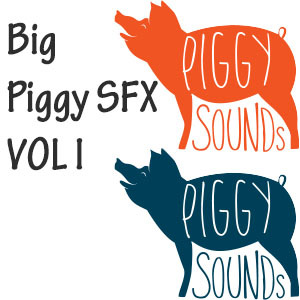 Our biggest, greatest SFX collection yet is here! We’ve spent the last couple of months recording, editing, and designing this absolutely beautiful and useful SFX library! 113 high quality SFX divided in 11 different categories. You get: 24 ambience tracks, 3 communications SFX, 7 foley tracks, 13 sounds for home and work situations, 7 machine and Sci-fi SFX, 6 useful miscellaneous sounds, 11 great musical accents, 13 mystery and suspense SFX, 21 beautifully reordered swirls, 4 transportation sounds, and 4 wooshes. Every sound was reordered in 48khz @24 bits, and there’s absolutely no compression or whatsoever! With your purchase, you also get a .pdf with every sound tagged for you to find what you are looking for in an easier and quicker way! So, listen to the demo, have fun, and share the love!